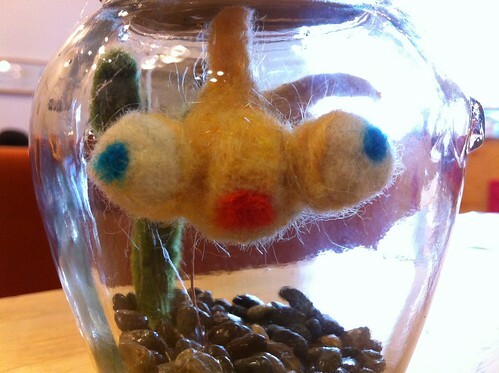 Today, Anna and I took a needle felting class at the Urban Craft Center in Santa Monica, and we made these adorable little goldfish in jars. This was my first try at the craft and I was amazed at how we were able to turn fluffy pieces of wool into dense felt creatures with defined shapes and details. I’m looking forward to heading back to the Urban Craft Center to test out other classes — it was a relaxing way to spend the morning, and we made something fun. Any thoughts on names for the little guy?